Chicago Bears quarterback Jay Cutler had a bad game recently. You may not watch football or even know who this NFL quarterback is, but what's a necessary piece of information for this particular story is that Jay is a Type 1 diabetic. The 27-year old from Indiana has been playing pro football since 2006 and in early 2008 he announced his Type 1 diagnosis. Since he's been playing with Chicago, there's only been one time he's mentioned diabetes has interfered, but he treated that Low without much issue. Most recently, Jay took a beating in the Oct. 3 game against the New York Giants with a 17-3 loss that included nine sacks in the first half alone. He was making wrong moves. Holding on to the ball too long. Throwing wildly. Looking dazed and confused, at one taking a few steps toward the wrong side before realizing his mistake. Just before the half, he was knocked out of the game with a concussion that would then keep him out the next game. That's when the commentary started, in the sports community as well as in the Diabetes Community. Someone linked to a post-game Chicago Sun-Times column in the Child With Diabetes Forums, saying that they were upset with how this particular columnist was questioning Cutler about his diabetes and whether that was to blame for the beating he took against the Giants. Did his diabetes have anything to do with it? That is a very personal question, but it is a valid one for this highly paid athlete. It is noble and courageous that Cutler plays pro football at all, let alone stars at the sport, with Type 1 diabetes, a disease that forces him to measure his blood-sugar and insulin levels constantly, even during games. To be slightly off on those levels can cause a diabetic to have blurred vision, reduced reaction time and slight loss of judgment. And who needs total awareness more than an NFL quarterback? We largely have forgotten about Cutler's battle with diabetes since he came to Chicago and was very open about his dealings with the late onset of the disease. But it is there. And one can't help but wonder whether the blows to his head, combined with the possible internal effects of diabetes, had anything to do with this horror show. Now, some took offense with the very question of this being D-related. Others took issue with the notion that a Type 1 could be "slighty off" and that might cause blurred vision, reduced reaction-time, and slight loss of judgement. As parents, this was a form of misinformation about diabetes and it infuriated them and caused concern about what message this might send to the general public about what we People With Diabetes can and can't do. Not everyone on the CWD forums or those column commenters were upset about question or tone, though some clearly did and voiced their frustrations online. Some resented the fact that this writer was blaming diabetes without actually knowing whether it played a part or not. For the record, Jay spoke recently about that game, saying that it was not his Type 1 diabetes to blame - but rather the concussion that he sustained at some point. A story quotes him as "squashing speculation that the hits he took affected his blood sugar and therefore his decision-making. Cutler called those claims 'completely false and ridiculous.'" So, there it is from him saying that the D is not and was not to blame. That while they symptoms demonstrated may have mirrored those of a Low BG, the behavior was the result of the concussion. Personally, this column didn't bother me. I see it as a valid question that the general public might raise about any pro-athlete PWD. You can't change the fact that they have this condition, and that as a result Lows or Highs might throw off performance levels at times. We all face this in our daily D-Lives, from issues that come up at work or instances where we must change driving, exercise, or other plans because of where our blood sugars are at. There's no denying it. But we recognize and acknowledge and don't hide this fact. So many of us are living examples of how any PWD can have a successful live despite being diabetic. Same goes for those like quarterback Jay Cutler, skiier Kris Freeman, swimmer Gary Hall, and mountain climber Will Cross - and so many many others who exemplify what is possible and that you can achieve your dreams even with diabetes. They've had D-issues while doing their respective sports before, and they've admitted and talked about that. But those occasional interferences haven't dampered the broader message and success stories each person embodies by just being there in the first place. I'd have the same rationale in describing anyone outside the pro sports arena who might hold a job, live a successfull life, and do whatever they might need to do well despite also living with diabetes. 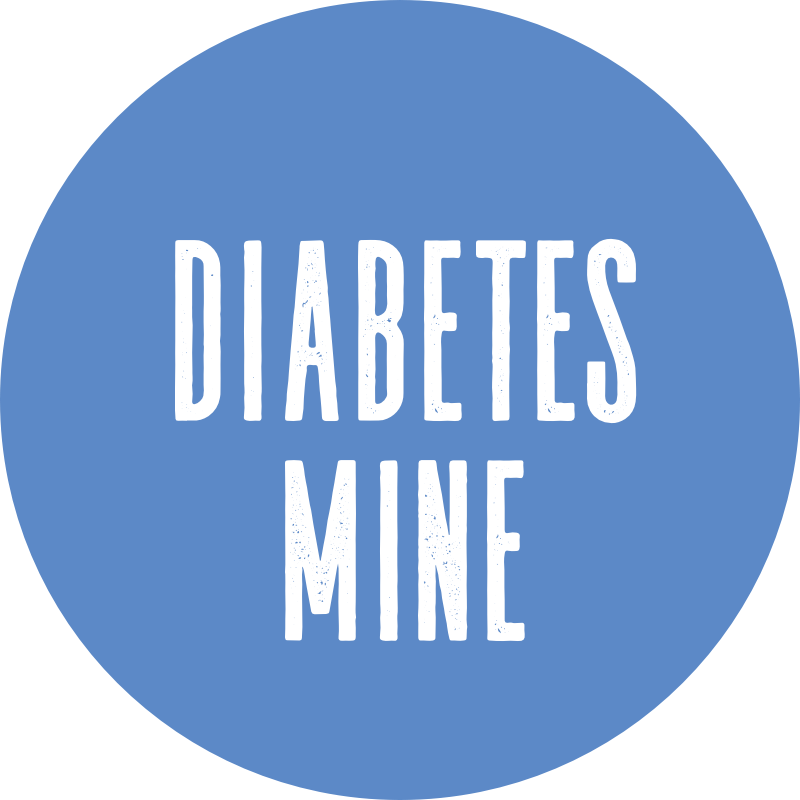 Though it's a big part of our lives, we are all more than just diabetes. Growing up, I played baseball up through high school and then swam varsity for all four years of high school. While I had some instances where D did get in the way, it didn't limit me in how I played or how others viewed me as a teammate. Honestly, I only recall using my Type 1 a few times in my younger days as an "excuse" to get out of climbing a rope, doing pullups, or swimming a particularly grueling lap in the pool. Those times aren't something I reflect on proudly, though, but rather I see them as a learning experience - I had to feel what it was like to not participate, to be limited. That never became a habit, if for no other reason than to prevent it from becoming a reason for others to view me as "the diabetic kid" who might not be able to do something the same as everyone else. Sometimes, they - and we - must blame diabetes. It's unavoidable. But our own actions and those of the high-profile athletes like Jay Cutler demonstrate that we CAN do these things and might just succeed or screw up like anyone else has the ability to. With that, I'll open it up to the DOC: What do you think about this? Have you ever had to blame diabetes while competing, or during your daily duties? Do you see this limiting in any way, and how would you think the general public might respond to that more regular-life situation where D may interfere? I take issue with the "highly paid" thing....to **ME** it sounds as though there's an underline commentary questioning whether or not "highly paying" a person with T1D is appropriate....as though the REAL question is not "Did diabetes interfere with his game", but rather "Is someone with T1D worth the risk of paying them alot of money when D could affect their game". Yeah. That part bugs me. Because someone with D can have an off day, just like any other "highly paid" NFL quarterback could have a horrible game. His record should be able to speak for itself. His longstanding history of demonstrating that he can mange his blood sugars during the football season and not have his performance affected should be enough to have left that sneaky statement out of the commentary to begin with. BTW, I don't spend much, if any, time at CWD. It's just too much pressure with far too many critical posters for my liking. Plenty of people have off days in the NFL. When one of those people is a person with diabetes, I think it is only natural that the general public wonders if diabetes is the reason. Diabetes gets in the way. A smart PWD tries to avoid this, as I'm sure Jay Cutler works incredibly hard to do. But sometimes, our efforts go unnoticed, and diabetes messes things up anyway. However, because PWD have to occasionally "blame" diabetes for mess-ups, they generally work harder not to make those mess-ups. And I think that is probably why most of us are successful awesome individuals. I do have to admit, I was watching the beginning of that game and when he made mistake after mistake and took hit after hit, I began to wonder how his blood sugar was. I think it is a valid question. I hate it when celebrities get annoyed when the press asks them questions about their lives. They chose that life. Of all the people who play high school and college football, only a tiny percentage make it to the NFL. You make the decision to be in the spotlight, you accept all that comes with it. Being a Chicagoan I can tell you that the columnist who wrote the article (Rick Telander) has a thing against Jay Cutler that has nothing to do with diabetes. He just doesn't care for him as a player. It was pretty low to bring up a personal medical condition the way he did, and insinuate in any way that the money they pay Cutler makes him more accountable than, say, the highly paid COACH of the team. At times D does interfere with my performance in daily life. My thinking becomes clouded with a low, and I have to take a break to treat it and get back to "normal" before do any more heavy brain lifting. I can't recall having used D as fake out excuse. But lows and extreme highs most certainly impact my performance. Spiking into the 300's in my first sprit triathlon probably didn't make for my best effort. And testing a couple of times during a half marathon doesn't help my time, even if my BG stays pretty even. More power to Jay, but he has chosen to work in a field that is all about performance during games that take a couple of hours to play. Taking 20 minutes to treat a low, or a couple of hours to bring down a high are not options for the guy who touches the ball the most. I'm sure he has worked really hard to minimize that, but those of us who live w/ T1 know that perfecting it all the time is just not possible. The media will seize upon ANY weakness and report, and yes, even speculate on it when it's not the cause. It's the nature of the beast. I'm struggling a bit with the use of the word "blame," which means "to hold responsible." When we blame something, it often means we're saying, "Not my fault; it's yours'." As if there's little we can do about it. Even IF a low or high blood sugar results in poor performance, the diabetic has a lot of ways to predict, correct or even avoid the blood sugar. Certainly not 24/7, but a lot of the time. When I run a bad race, I always look to my training and my blood sugars to determine how they may have affected my results. And in the end, I'm the one with a lot of ability to control both. I play "touch football" and other social sports and I can say that absolutely my blood sugars have affected how I've played - I try to tell my teammates if there is an issue or I need to step out. Same for my job. I think it's a fair question. I am cool with the questioning of "d" and his performance. I would question it too. AND. I do it all the time while watching my son play hockey etc...when he falls, makes "interesting" play calls, or looks confused or dazed...I am always questioning "Is Joe Low?" Unfortunately, it is the nature of the beast. I think it's a fair question but not a fair assumption. I have had times while playing sports that I went low and lost my balance. Or playing chess (which I teach) and having difficulty seeing the pieces. I love football, and was "excited" when I found out Jay Cutler had T1. (It's a sport that I love, and now someone was playing who could help raise awareness.) In high school, I ran cross-country, was on the ski team & winter track, and I played tennis. By no means am I a star athlete, but I love to stay busy and active. In college, I played tennis. 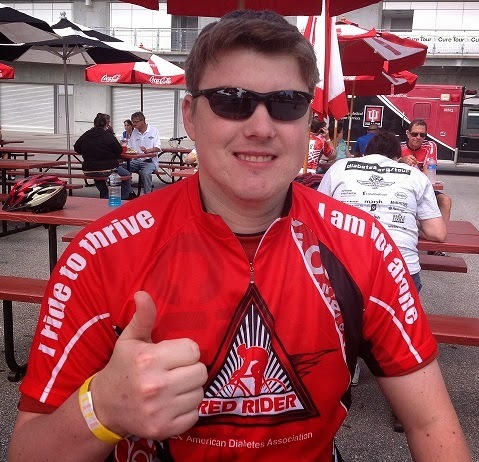 Cross-country was easily affected & easy to treat since I could carry glucose with me. Skiing and track were such quick races that I never remember an issue. Tennis is a different story. I could only treat when you switch sides. (If you pause play otherwise, you forfeit.) In high school, my teammates were amazed how different I played before the juice box and after, later referring to it as magic juice. In college, my coach asked me one time what happened. Well coach, I was low. "You should be used to that by now." My response was, well, does that mean you'd tell an alcoholic to get behind the wheel, drunk? She stopped short. There was one indoor match though, where I went low. I took some juice, and grabbed a cracker. After another 2 games, I was 50-something. Treat again. Another 2 games, and I was 36. I had to quit. It was the worst & most embarassing athletic day in my life. It was & hopefully always will be the only day I had to forfeit because of diabetes. If Jay Cutler had been low or high, then I'm okay with the fact that a reporter brought it up. It may not be what Cutler wants, but it gets other people who may not be familiar with diabetes open to the world of "us"
Children and adolescents who have diabetes usually have different problems and complication and the methods of management should be completely different than the ordinary therapy. The therapy can be similar buy the way they are used should not be the same.